You may already be using social media marketing, such as Twitter or Facebook ad campaigns, to drive traffic to your eCommerce store. However, if you stop there, you’re only using part of the effectiveness of social media. Social media should be used to be, well, social. It’s not just about putting your content out there on social networks, but rather should prompt a dialogue between your team and potential customers. You can also use social media to immerse them in the shopping experience and to connect easily to your store. Social eCommerce is about getting your customers entirely connected with your store and brand. Here are 6 steps you can take to make your social eCommerce more effective on your WordPress eCommerce site. Before we worry about your content or products being shared, we should make sure that they’re shared in the best way possible. This means adding open graph tags or other information to your site structure that tells social networks how to format content that comes from your site. We’ve written a detailed review on the WPSSO plugin and how to use it to format your social sharing content, which is what we recommend using for your eCommerce store (you can also use WordPress SEO for Twitter cards, but not other networks like Pinterest). WPSSO integrates with Easy Digital Downloads, WooCommerce, MarketPress, and WP eCommerce to add relevant product data for social sharing (such as Twitter cards or Pinterest rich pins). Customers hate remembering username and password combinations, and it’s not necessary. 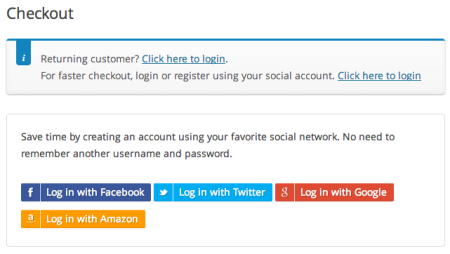 You can offer social login buttons instead of user registration for your site. This also improves security for customers, as they typically use the same passwords for everything. If one site is breached, their login credentials for almost every site they use are then compromised. Social login eliminates this issue and increases security at sign in, as it must be authenticated by the social network. Users also tend to stay logged into social networks, which makes it dead simple to stay logged into your site for faster, seamless shopping and checkout experiences. How compelling is social sign in? Almost 80% of customers prefer social login to registering when visiting an eCommerce site. 9 of 10 customers have encountered social login, and over 50% use it. Customers appreciate that social login is usually more secure and allows for personalization. As a result, social login leads to increased conversion rates. So what WordPress eCommerce plugins offer social sign in? 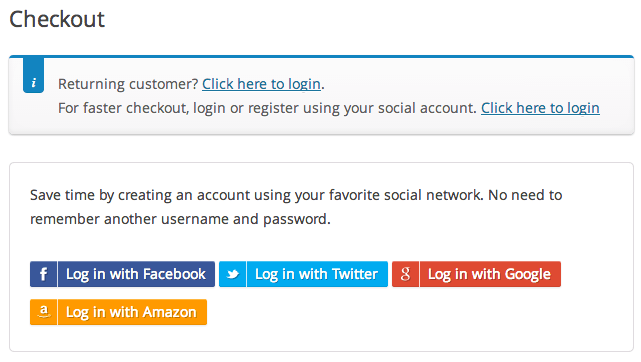 You can enable social login with WooCommerce, Easy Digital Downloads, WP eCommerce, and Jigoshop. Want customers to share cool products they find on our site? Make it as easy as possible to do so. When you reduce barriers, people are more likely to take action. For social eCommerce, this means making it easy to share from the product page. 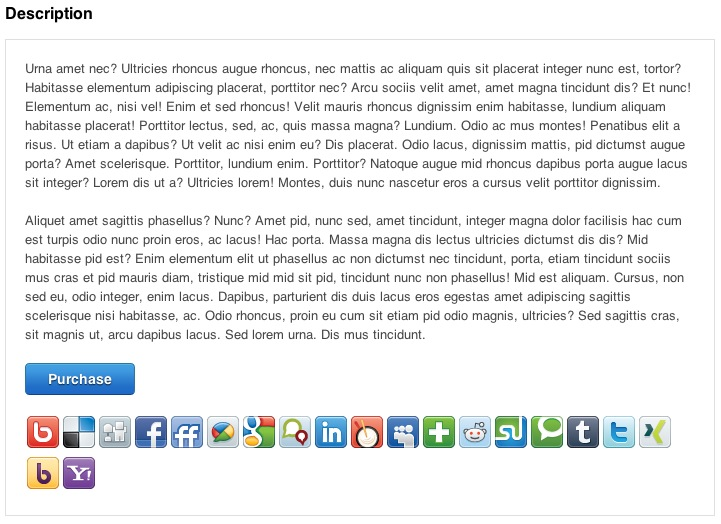 You can add social sharing buttons to product page with many eCommerce plugins. We previously mentioned WPSSO (or the pro version) for sharing optimization. There’s an extension for WPSSO for social sharing buttons that will add your sharing buttons throughout your site, including on product pages. You can determine the location of sharing buttons, such as in a floating bar, before or after content, or within a widget. There are also social sharing button plugins specific to WooCommerce, Easy Digital Downloads, Jigoshop, and WP eCommerce. You can also use EDD’s Social Discounts as a sharing tool, as it can be used with or without discount functionality. This really gets to the heart of getting social – interact with your users via social media, and checkout what they have to say about your store. One of the best ways to do this is via Instagram. 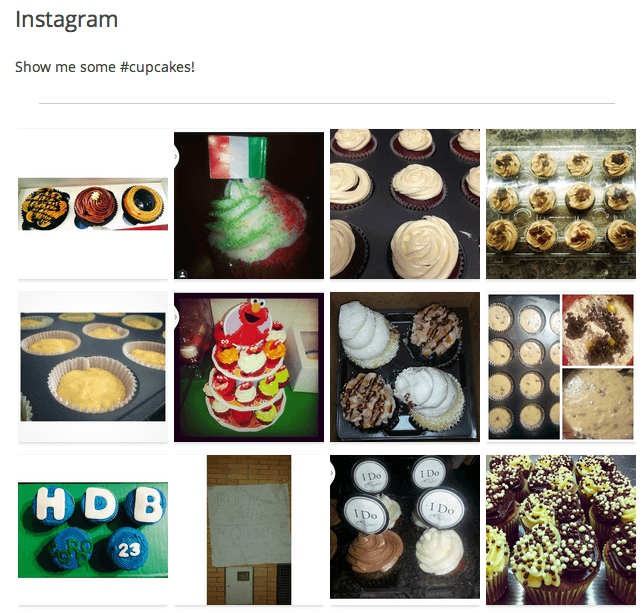 There are a couple of cool plugins to integrate Instagram with your WordPress site. The Alpine PhotoTile for Instagram will let you display both your own Instagram images or your feed via shortcode so you can show users what you’ve been up to on Instagram. However, I really like the idea of using this plugin to display images from a global tag on your site. What’s this mean? Let’s say I asked all of you to use the #sellwithwp tag on your Instagram photos. I could then display any photos with that tag on my site, no matter which user they’re from. This is a cool way to incorporate your customers’ photos on your site, and you can even choose the best Instagram photo each month for a prize. You can also import your Instagram photos to WordPress instead of fetching them via the Instagram API using the Instagram importer plugin. This will import Instagram photos into your media folder. Remind customers to take action as part of your social eCommerce strategy by using social calls to action. For example, you can remind them to share a purchase from a WooCommerce store using the WooCommerce social checkout plugin. Social recommendations like this are trusted by readers and provide a valuable source of traffic – people want to know about what their friends buy. If you’re using a different eCommerce plugin, you can also use a social sharing button that allows you to embed buttons via shortcode (such as WPSSO SSB). You can then put a message on your “Thank You” / Order Received page with the corresponding buttons shortcode to remind customers to share their purchases. You can also use calls to action with an associated reward. You can also reward customers for taking action on social media. Offering an incentive drastically increases the likelihood that customers will take the action you want them to take. Using WooCommerce? You can check out the Social Coupon extension. 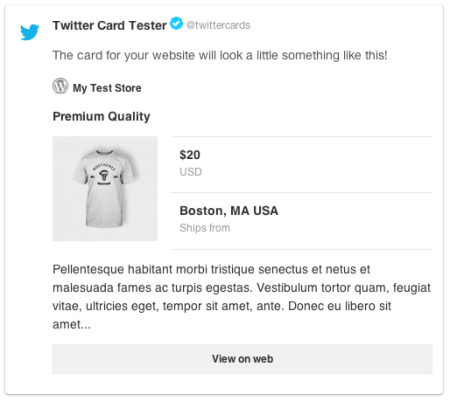 This shows social buttons on the product, cart, and/or checkout page. When the customer takes the social action you want, a coupon that you’ve created and selected for the action is automatically applied to the cart contents. Using Easy Digital Downloads? The Social Discounts extension is something you’ll want to look at. This extension applies a discount as soon as a post, page, or product has been shared via social media. You can even customize the shared message and the “Thanks for sharing” notice that’s displayed. Social eCommerce should put the focus on interaction rather than information. You can interact with your customers by making it easier to share your content and engage via social media, let them use their favorite networks to log into your site, and offer rewards to thank them for sharing your products or content. You can even include user content in your store, such as Instagram photos, to forge a better connection between your site and customers and to bring them closer to your brand. The beauty of using WordPress for eCommerce is the sheer number of integrations and extensions available, and social media is no exception. There are tons of plugins available to support your social eCommerce plan. 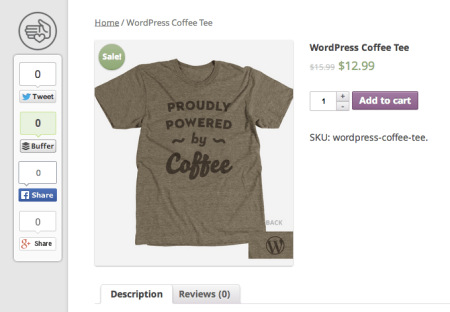 Our friends at Prospress have some great social commerce tips for WooCommerce. SumAll has a list of Effective Ways to Integrate Social Media with an eCommerce Website that’s pretty handy. Social icons in cover photo from Dreamstale.com. Another informative post Beka, thanks for including us. The Alpine PhotoTile for Instagram plugin is a particularly cool idea!